​The Toronto Blue Jays acquired right-hander Julian Merryweather from Cleveland on Friday to complete the Aug. 31 trade that sent veteran third baseman Josh Donaldson to Cleveland. The Toronto Blue Jays acquired right-hander Julian Merryweather from Cleveland on Friday to complete the Aug. 31 trade that sent veteran third baseman Josh Donaldson to Cleveland. 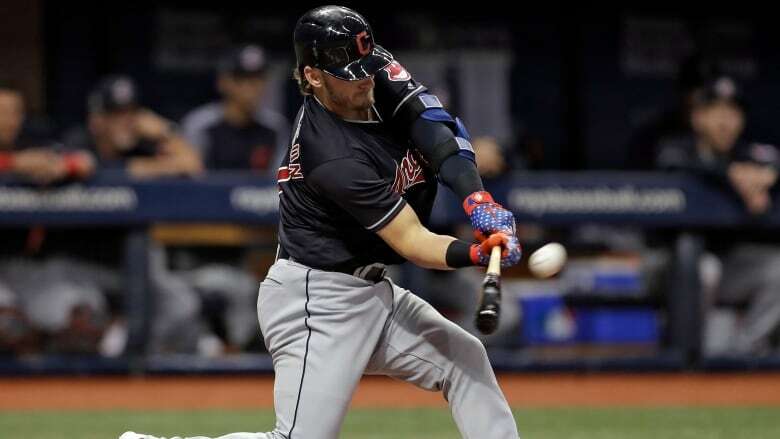 Since the deal was finalized before Sept. 1, Donaldson is eligible to play in the post-season. Merryweather, the player to be named later in the trade, was 7-9 with a 5.32 earned-run average in 2017 over 25 games for triple-A Columbus and double-A Akron. The 26-year-old native of Berkeley, Calif., missed this past season after undergoing Tommy John surgery in March. Merryweather is 23-20 with a 3.92 ERA over four minor-league seasons. The Blue Jays designated utilityman Jon Berti for assignment to make room on the 40-man roster.